How can journalists best use the latest digital storytelling tools? In this podcast Journalism.co.uk technology correspondent Sarah Marshall looks at current trends in integrated storytelling, hearing from multimedia producer Adam Westbrook, co-founder of Storify Xavier Damman and executive producer for Guardian.co.uk Stephen Abbott. 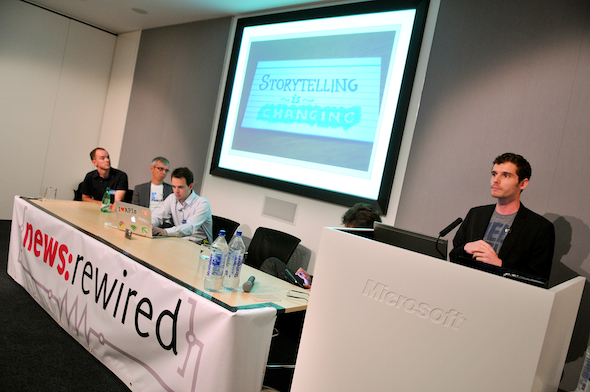 All three gave presentations at Journalism.co.uk’s news:rewired – connected journalism event which was held at MSN HQ, London yesterday (Thursday, 6 October). You can sign up to our iTunes podcast feed for future audio.